The Hiden CATLAB-PCS combined microreactor and mass spectrometer system is purpose designed for the characterisation and evaluation of catalysts, for temperature programmed desorption and reaction testing, and for general thermal studies. The modular benchtop system features an advanced fast-response low thermal mass 1000oC furnace, multistream gas flow control of up to eight integrated gas streams, together with the precision Hiden quadrupole gas analyser. 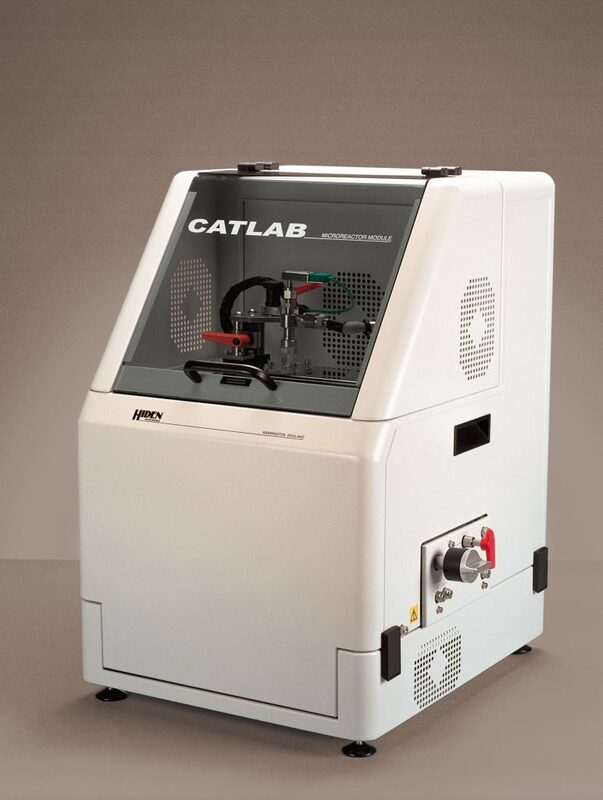 Sample insertion is via the novel CCS Catalyst Cartridge System to ensure consistent and reproducible sample loading, an in-bed thermocouple providing precise measurement of sample temperature and reaction exotherms. The system control is from a single integrated program giving control of all operating parameters and of data acquisition and presentation. Featuring a fully programmable automated analysis cycle, all system elements are designed and configured to ensure optimum data authenticity. Pulse Chemisorption(PCS) operation utilises the integral multiport rotary valve with quantified volume sample loop to admit discreet aliquots of single component or user-defined multiple component adsorbate gas to the sample for accurate adsorbate uptake measurement. Properties including adsorption isotherms, metal dispersion and surface acidity are readily determined, with the mass spectrometer providing continuous, simultaneous multicomponent product measurement. For full details on this or any other Hiden Products contact Hiden Analytical at info@hiden.co.uk or visit the main website: www.HidenAnalytical.com.